Anabaptists believed that "they were the true elect of God who did not require any external authority". (13) They therefore advocated separation of church and state. Anabaptists advocated complete freedom of belief and denied that the state had a right to punish or execute anyone for religious beliefs or teachings. This was a revolutionary notion in the 16th century and every government in Europe saw them as a potential threat to both religious and political power. In the tract Luther made it clear that he now had no sympathy for the rebellious peasants: "The pretences which they made in their twelve articles, under the name of the Gospel, were nothing but lies. It is the devil's work that they are at.... They have abundantly merited death in body and soul. In the first place they have sworn to be true and faithful, submissive and obedient, to their rulers, as Christ commands... Because they are breaking this obedience, and are setting themselves against the higher powers, willfully and with violence, they have forfeited body and soul, as faithless, perjured, lying, disobedient knaves and scoundrels are wont to do." His (Thomas Müntzer) studies led him to ordination into the priesthood. He had no difficulties attaining the regular graduate degrees, and he son became known as a learned priest committed to teaching and to critical discernment of the climate of opinion on the eve of the Reformation. His contacts in Braunschweig, located a short distance north of Stolberg, provided the young priest with an income and involved him in altercations about the significance of indulgences, which was the subject of critical debate between churchmen and theologians and which concerned political leaders who sought ecclesiastical reform. 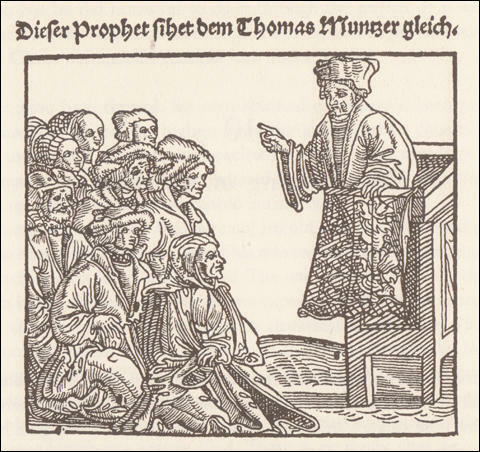 Thomas Müntzer was perhaps the most controversial figure of the period of the German Reformation, a man who has been called at various times the "beginner of the great Anabaptist movement," the forerunner of modern socialism, the beginner of the mystical-spiritualistic movement in Germany, a religious socialist, the leader in the Peasants' War 1525, and other such designations, none of which really fit this versatile man who during the decisive last five years of his life (1520-1525) changed his position almost from year to year. 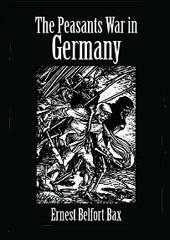 Karl Holl's assertion that most of the catchwords or slogans of the German Reformation during its formative period were made current by this fiery and restless mind is acceptable. Noble and deep thoughts mingle in his writings with rather coarse and rude expressions, not to say offensive passages; genuine spirituality alternates with fanciful inspirationism. At the end, in spite of his position as a priest and preacher, one may legitimately ask: Was he still a Christian? The literature about Müntzer is extensive but not too enlightening, providing for each author an occasion for personal interpretation of an ambiguous personality, thereby using categories often wanting in precision. Praise and blame, love and hatred speak from these writings, but no author seems to be able to be fully neutral and detached. But since Müntzer has quite persistently been called the "originator of the great Anabaptist movement" it is desirable that a careful and objective study be made of his relation to Anabaptism. Thomas Münzer appears to have been born in the last decade of the fifteenth century. An uncertain tradition states that his father was hanged by the Count of Stolberg. The first we hear of him with certainty is as teacher in the Latin school at Aschersleben and afterwards at Halle. Where he studied is doubtful, but by this time he had already graduated as doctor. In Halle he is alleged to have started an abortive conspiracy against the Archbishop of Magdeburg. In 1515 we find him as confessor in a nunnery and afterwards as teacher in a foundation school at Brunswick. Finally, in 1520, he became preacher at the Marienkirche at Zwickau, and here his public activity in the wider sense really began. The democratic tendencies previously displayed by him broke all bounds. He thundered against those who devoured widows’ houses and made long prayers and who at death-beds were concerned not with the faith of the dying but with the gratification of their measureless greed. 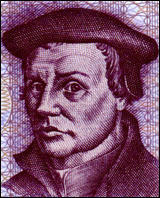 At this time Münzer was still a follower of Luther, but it was not long before he found him a lukewarm church-reformer. Luther’s bibliolatry, as opposed to his own belief in the continuous inspiration of certain chosen men by the Divine spirit, excited his opposition. He criticised still more severely as an unpardonable inconsistency Luther’s retention of certain dogmas of the old Church whilst rejecting others. He now began to study with enthusiasm the works of the old German mystics, Meister Eck and Johannes Tauler, and more than all those of Joachim Floras, the Italian enthusiast of the twelfth century. A general conviction soon came uppermost in his mind of the necessity of a thorough revolution alike of Church and State. His mystical tendencies were strengthened by contact with a sect which had recently sprung up amongst the clothworkers of Zwickau, and of which one Nicholas Storch, a master clothworker, was corypheus. The sect in question lived in a constant belief in the approach of a millennium to be brought about by the efforts of the “elect”. Visions and ecstasies were the order of the day amongst these good people. This remarkable sect influenced various prominent persons at this time. Karlstadt was completely fascinated by them. Melancthon was carried away; and even Luther admits having had some doubts whether they had not a Divine mission. The worthy Elector Friedrich himself would take no measures against them, in spite of the dangerous nature of their teaching from the point of view of political stability. He was afraid, as he said “lest perchance he should be found fighting against God”. It was not long before Münzer allied himself with these “enthusiasts,” or “prophets of Zwickau,” as they were called. When the patrician council at Zwickau forbade the cloth-workers to preach, Münzer denounced the ordinance and encouraged them to disobey it. New prohibitions followed, culminating in prosecutions and imprisonments. 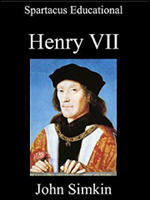 The result was that, by the end of 1521, the cloth-working town had become too hot to hold the new reformers. Some fled to Wittenberg, and others, including Münzer himself, into Bohemia. Arrived in Prague, Münzer posted up an announcement in Latin and German that he would “like that excellent warrior of Christ, Johann Huns, fill the trumpets with a new song”. He proceeded in his addresses to denounce the clergy, and to prophesy the approaching vengeance of heaven upon their order. He here also preached against the “dead letter,” as he called it, of the Bible, expounding his favourite theory of the necessity of believing in the supplemental inspiration of all elect persons. But the soil of Bohemia proved not a grateful one. It had been exhausted by over a century of religious fanaticism and utopistic dreams of social regeneration.